Our First Labelexpo Americas Was Hot & Spicy! 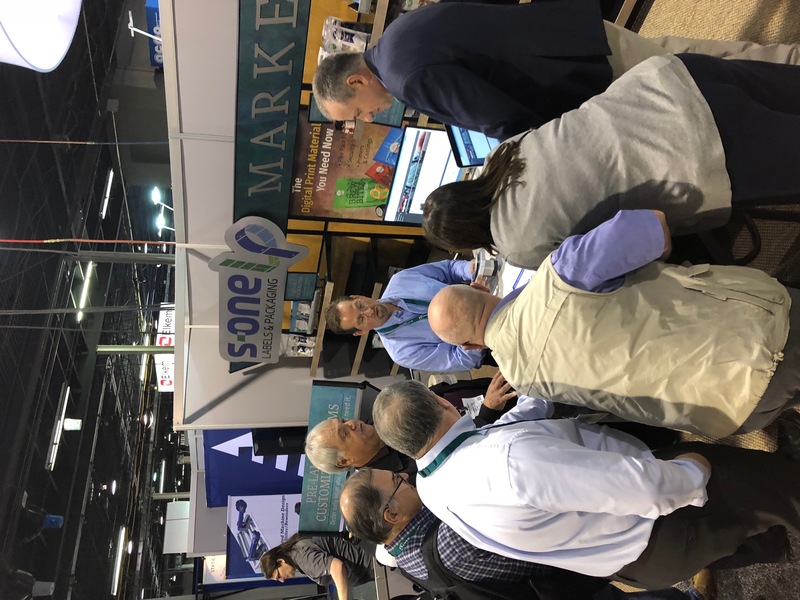 Labelexpo Americas 2018 did not disappoint for the S-OneLP team! During the late-September three-day show in Chicago, we met many industry leaders, movers and shakers. Plus, we had the opportunity to showcase many of our products and services to the thousands of enthusiastic attendees who visited our booth. 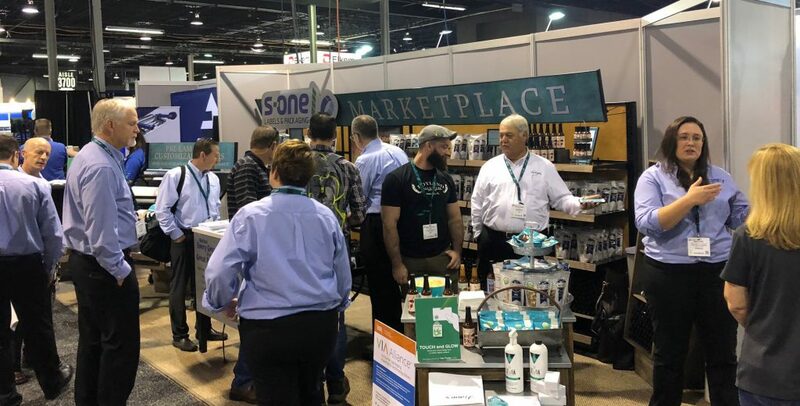 Our booth’s “Marketplace” theme was created to showcase four real companies who partnered with us to discover how re-imagined packaging could elevate their products and boost their brand image. 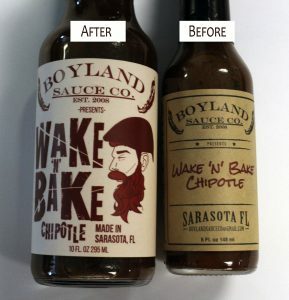 We displayed packaging for Boyland Sauce Co. Wake ‘n’ Bake Chipotle Hot Sauce, Amy’s Candy Bar Turtles, Savory Spice Onion Dip Mix and Boardwalk Craft Beer Pretzels in our booth. Our goal in featuring these brands was to show label and packaging printers how they, too, can find local, artisan brands and help them upgrade their packaging so that it will pop off the shelves and stand out in the crowd. We started with Boyland Wake ‘n’ Bake. When brand owner Rob Boyland found himself in a pinch, he ended up using his home computer to print bottle labels, which had a craft-paper type look to them. Boyland let us re-imagine his label design, and our graphic designer took it to the next level with a new label featuring Boyland’s iconic look. We loved having him in the booth to hand out samples and share his experience. He and S-OneLP product specialist Kara Work talked to Label & Narrow Web magazine in this video. We also reworked packaging for Amy’s Candy Bar and Savory Spice to show how flexible packaging can take the place of simple packaging that the brands were finishing with labels. 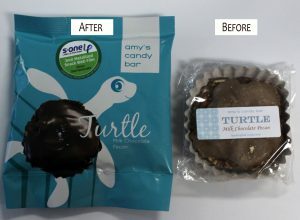 We redesigned their looks, and had them printed on pre-laminated flexible packaging films in metallic and white for optimal results. CL&D Graphics’ Digital Division in Hartland, Wis., used an HP Indigo 6800 to create these impressive new packages. They also helped us with a new print job for Boardwalk Foods’ Craft Beer Pretzels, using a customizable film that was reverse printed for the specialty brand. All of these flex-pack films are available at S-OneLP, as well. VerifyMe and Micro Focus joined our booth to demonstrate the very latest in security inks and product tracking. 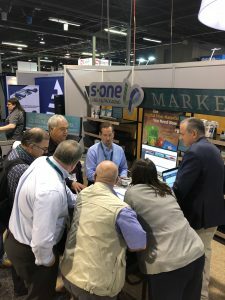 This demo station was jam-packed all day every day for curious converters who wanted to know more about packaging authentication and tracking! We rolled out a new video for HP, featuring Michelman’s DigiGuard 901 OPV Strengthener for durable labels. We launched LEVIA™ Green Clean solution to clean and restore HP Indigo rollers, approved by the HP Solutions Architects. It was a fun and busy show! If you weren’t able to make it, or want more information on any of our products, services or partners, give us a call at 941-256-7900. We’ll see you next year at Labelexpo in Brussels!